Mission Statement: As the industry leader, our mission is to provide an exceptional client experience by having our family of experts create your custom dreamscape with a commitment to professionalism, quality, value & customer service. Family owned and operated since 2004, Black Diamond has an A+ Rating by the BBB. 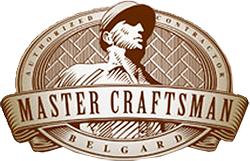 We have earned multiple prestigious awards and certifications in the industry, including Belgard Master Craftsman & the CLCA Excelsior Award. Our continued dedication to our customers has also earned us the exclusive Diamond Certified accreditation as well as hundreds of 5-Star Reviews. Black Diamond’s ultimate goal is to provide you with the highest quality products, service, warranties, and guarantees. We work with “Experts Only” to ensure you receive superior craftsmanship at the best value for your investment. Black Diamond is committed to 100% client satisfaction, is fully licensed and insured, and offers some of the longest warranties in the industry – including a 27 year warranty on paver installation, 10 year warranty on synthetic lawn or pergolas, and a LIFETIME warranty on paver stones. 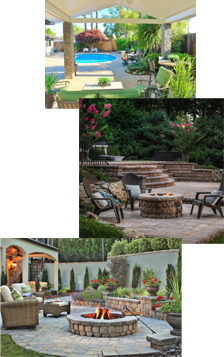 Black Diamond Paver Stones & Landscape is a family owned business. Roger and Tiffany Van Alst have been in the home remodeling business for many years, both as consumers and as business owners. As consumers, the Van Alst’s have had many positive and negative experiences working with home improvement contractors. Black Diamond Paver Stones & Landscape works exclusively with industry experts; from our extensively trained and knowledgeable Design Specialists to our dedicated coordination teams and skilled hardscape/landscape crews. We work together to ensure each project meets the highest quality standards, as defined by ICPI (Interlocking Concrete Pavement Institute). Team members such as our Safety Inspector, Landscaping Manager, Quality Control & Operations Manager – alongside your dedicated Project Design Specialist – ensure every Black Diamond transformation exceeds our clients’ expectations. Contact us today to discover how Black Diamond can design and build your stunning new custom Dreamscape – with a FREE basic design, consultation, and estimate! Join our Team! Black Diamond is currently looking for additional qualified Installation Crews, Project Design Specialists, and support staff. Either call us at 800-942-1955 or use the form box above to inquire today.